We are most certainly far more satisfied at the department than before. Sometimes we talk about how in the old days – not that long ago – we used to keep entering the same data day in and day out. This is something we most certainly don’t miss. 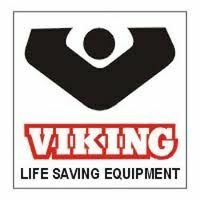 VIKING is a global leader in safety equipment and services for the maritime and offshore industry. Its products are manufactured in Denmark, Norway, Bulgaria, and Thailand and are distributed via a fine-mesh global network that consists of 37 foreign subsidiaries distributed among 71 locations in 27 countries. Every week the company ships evacuation systems, life rafts, life vests, suits, spare parts, and a number of other products to customers all over the world. The total number of deliveries reaches up to 19,000 a year. 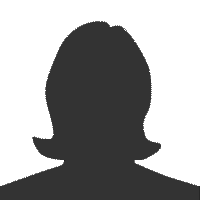 In the past, all data were retrieved in the SAP system, and eight employees in the shipping department entered them manually into the shippers‘ IT systems. Now, thanks to itelligence‘s solution, data transfers to UPS, Fedex, and Danske Fragtmænd are almost fully automated. At present, VIKING uses it.x-press for 200 out of 375 of its weekly deliveries. The module is used for all deliveries made via UPS, Fedex, or Danske Fragtmænd, which handle a total of around 10,000 shipments per year. VIKING is currently working to introduce automatic data transfers for its larger and more complex deliveries as well, which is expected to happen at a later time. The employees in the shipping department now work in SAP Transport Planning, and they do not need to access the shippers‘ IT systems. Data transfers are made via EDI through it.x-press. "Our turnover has grown by almost 10 percent, but we handle it with the same staff resources, and we have simultaneously reduced our overtime."